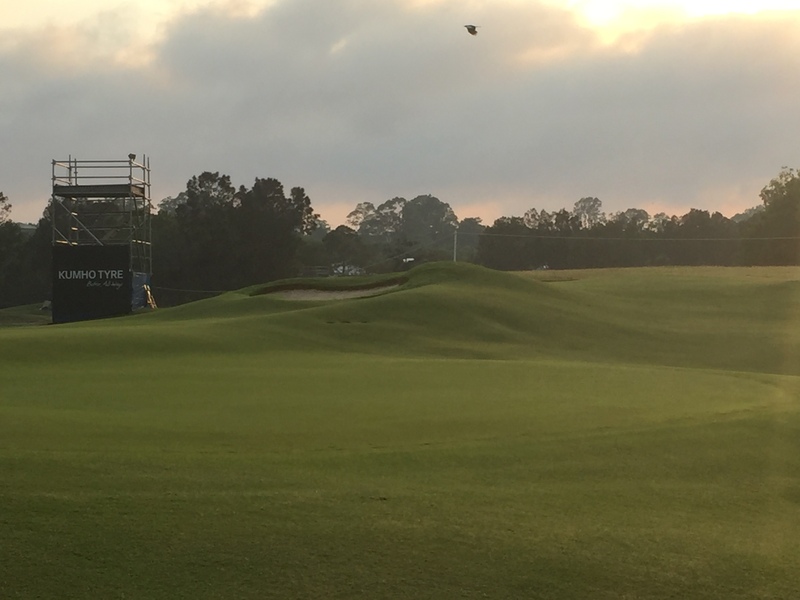 Last week saw Steve and myself volunteer at the Australian PGA Championship down at Royal Pines. This was an exciting opportunity for us to get some hands on experience in setting up for a major tournament and being able to see how particular aspects of their day to day routine could be implemented at our club. Prior to getting into details I would like to thank the following people who were key in organising our participation in this event. Royal Pines superintendent Lincoln and his crew for making us feel welcome and enabling us to actively contribute to the week. Luke Helm provided us with the chance to represent Meadowbrook Golf Club as part of collective of volunteers from a variety of other clubs. And of course our club for being supportive and allowing us the time to participate in an event which will no doubt be a source of knowledge and inspiration for the future. 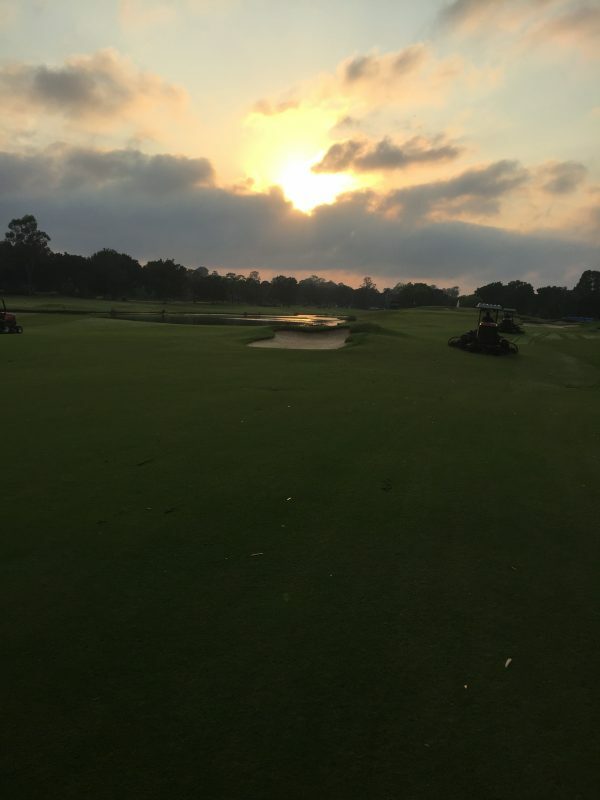 From the beginning of the week there was a growing anticipation leading into the tournament as the Royal Pines crew and volunteers applied the finishing touches to have the course ready for play. This involved everything from raking and edging bunkers, mowing greens, tee’s, and fairways, to picking up debris after a windy night on the coast, and still including the day-to-day tasks that need to be done in order to maintain a healthy and functioning golf course which all contributed to a final product worthy of being televised on a national and international level. A couple of things I took away from the week was seeing the importance of having fairway irrigation and a nursery for a number of reasons such as dealing with encroachment on the greens. I was able to see first hand how crucial it is to have the ability to repair a damaged green instantly. 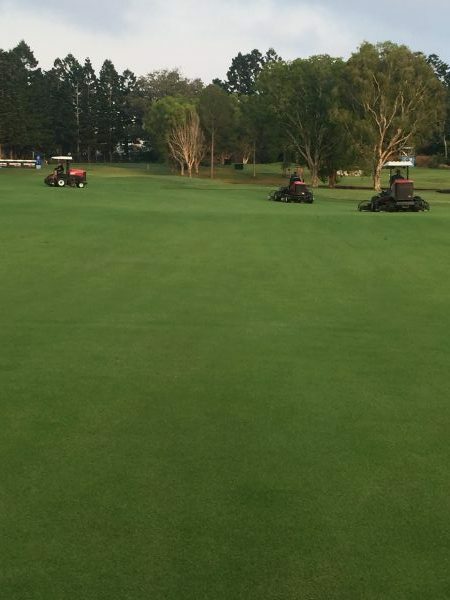 On the Monday I worked with two Royal Pines crewmembers, assisting them to plug the perimeters of their greens. 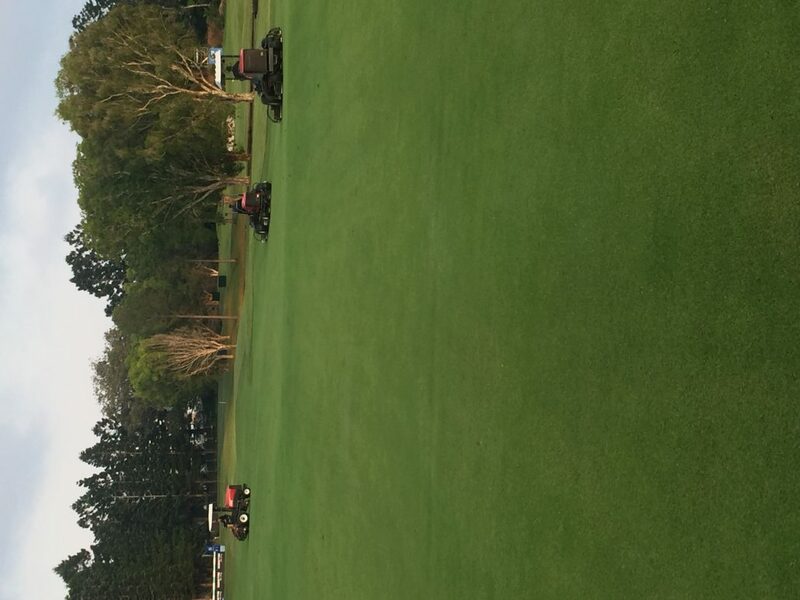 This involved extracting a significant amount of fresh turf from their nursery to achieve a pure playing surface. Fairway irrigation is another fundamental part of what makes for a great course. This is not only for the impact water can have on turf aesthetically, but also for the health of the plant and sustained consistency of playability throughout the course. Something we will be working in the coming weeks is the repair of multiple valves on a number of our fairways with existing irrigation. The results will speak for themselves! 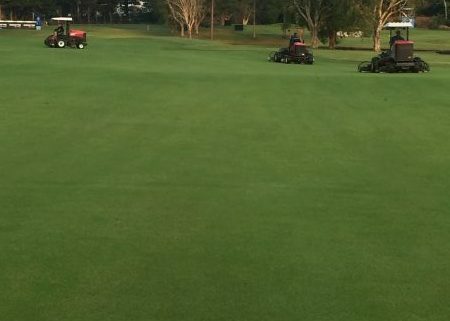 Having observed the effects of an onsite nursery and a functioning fairway irrigation system, I believe implementing these practices at Meadowbrook would greatly increase the quality of our course looking forward. In conclusion, I am grateful to have been given the opportunity to participate in this invaluable experience and both Steve and myself will aim to put to practice what we learned during our time at Royal Pines.